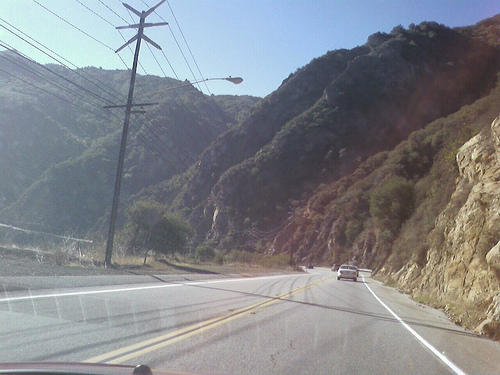 On Las Virgenes through the canyons as I am coming into Malibu. Joe Crawford blogged this at 1:28pm in 2007 in October. The 18th was a Thursday. You are reading this 12 years later. Comment. There are no comments Tweet. Send email. It has hashtags→ malibu photos .